An awesome replacement for the commercial English muffins – made Paleo-friendly, gluten and dairy-free – for all your favorite toppings! One of the main things I miss about having to eat gluten-free is the lack of good bread-type things. Now I’ve come up with a few good substitutes for pizza crust, pie crusts and stuffing, but I remember back to my childhood days of having English muffins for breakfast sometimes. And when you can’t have something, you always want it … well I do anyway! And being in the US, where the grocery stores often have sales on English muffins – flavored English muffins, plain English muffins – well, I get frustrated that I can’t just be like everyone else. 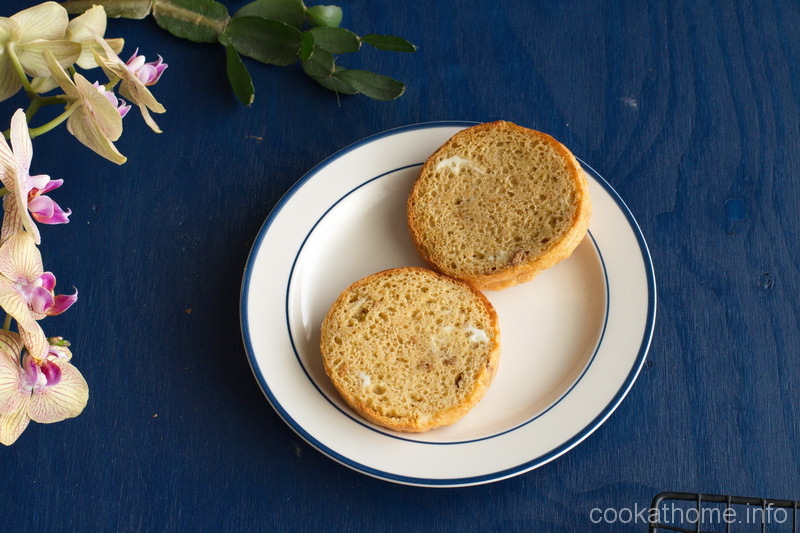 So I started hunting through the Internet in a quest to find a decent English muffin recipe, that would suit the needs of my special snowflake stomach. Believe me, I have tried a lot of different recipes, and have even tweaked this one a few times as well. But this seems to be close enough to the real thing, or what I remember as being the real thing, to satisfy me. For those of you who can have gluten, try these and let me know how they compare please? For those of you who can’t have gluten, try these and let me know what you think! 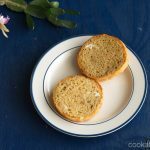 Now I usually have these English muffins with some sort of combination of eggs and avocado, but have also had them with jam, almond butter and blueberries – so basically add whatever toppings you desire. But just give them a go – they’re really easy to make! And let me know what you think! Preheat oven to 350F and spray 4 ramekins with cooking spray. Combine the almond butter and coconut oil until fully mixed. If needed, place in the microwave for 30 seconds to melt the coconut oil and help out with the mixing. Put the almond flour and baking powder into the almond butter mixture and stir well. Add the almond milk and combine. Add the beaten eggs and mix well. Pour the batter evenly into the ramekins and bake for 20 minutes. Allow to cool for about 5 minutes before removing from the ramekins. Slice in half and toast as desired.